Drinks by the Dram is proud to announce the pre-release of their award-winning spirit- and liqueur-filled Christmas Crackers. 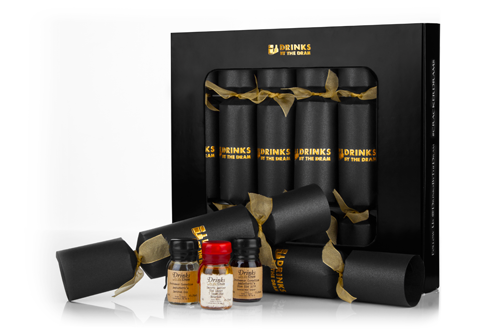 Each box contains six handcrafted crackers filled with 3cl sample ‘drams’ of award-winning spirits and liqueurs. Drinks by the Dram Advent Calendars will be available at Harvey Nichols, Selfridges and online at Firebox, Ocado, Amazon and Master of Malt. The entire range is available for pre-order now at Amazon, shipping from 12th November.